The 2030 development agenda titled ‘Transforming our World: The 2030 Agenda for Sustainable Development’ has ambitious youth employment targets: by 2030 achieve full and productive employment and decent work for all men and women, including for young people and persons with disabilities, and equal pay for work of equal value; by 2020 substantially reduce the number of youth not in work, employment or training; and by 2030, increase the number of youth and adults who have relevant skills, including technical and vocational skills, for employment, decent jobs and entrepreneurship. This is a tall order even for developed countries given the abysmal state of the global youth employment situation. Young people are three times more likely to be out of work than global adults, says the International Labour Organization (ILO) in a report released earlier this month on youth employment in 2015. The problem is so severe that the ILO has warned of a “scarred generation” reeling from a toxic mix of working poverty in developing countries and high unemployment, work in precarious activities and extended periods of inactivity in developed countries. Eight years since the global crisis began, the problem of youth unemployment and underemployment seems to be stabilizing though it still remains dangerously high. According to the report, in 2014, a staggering 73.3 million youth under the age of 24 were out of work. Though this is 3.3 million people less than when unemployment rates went shooting off the roof in 2009, in absolute terms, 73.3 million is more than the total population of at least 150 countries. There are millions of young people who are looking for work and a million others who are working for little or no money. To be called unemployed, according to international standards, the person should meet three criteria: s/he did not work in the reference period; was available to take up a job had one been offered in the week prior to the reference period; and actively sought work within the past 30 days. Though the global youth labour force and labour force participation rates continue to decline – owing to more education enrolments – the global youth unemployment rate has more or less settled between 13 and 13.1 percent between 2012 and 2015. Unemployment is 13 percent of the total youth population. If we add to that the total number of people in working poverty (working at below $2 a day), then we are talking of 43 percent of the youth labour force, said Sara Elder, author of the ILO report on Global Youth Unemployment Trends, while releasing the report. The youth unemployment rate declined between 2012 and 2014 in Europe, East Asia, Latin America and Caribbean, and sub-Saharan Africa while the rate has increased for the same time period in South East Asia, Pacific, North Africa and Middle East. In 2014, for high-income countries, the aggregate youth unemployment rate was 6.5 percentage points higher than that of low-income countries. However, the numbers change drastically when the definition of relaxed unemployment – measure of the unutilized youth labour potential, including youth who are not actively looking for work but would like to work – is applied with the rates nearly doubling in the low-income grouping. The landscape of employment issues in developed countries and developing countries remain different. The majority of European countries are witnessing an increasing trend in temporary work among youth – the EU-28 average showed an increase from 40.0 percent in 2005 to 43.3 percent in 2014. “Internship is a very worrisome trend because it is increasing, and increasing in a way that is not necessarily leading to the next step which is meant to be the more permanent position. Rather, what we are seeing is that young people are taking internships and taking another internship and another internship, indefinitely,” Elder told BBC. The share of NEET rates – neither in employment nor in education – peaked in 2010 but has been declining especially in developed countries. More than one in three youth in Europe had been looking for work for more than a year in 2014. However, in low-income and middle-income countries, the youth who cannot afford to remain unemployed face the carcinoma of structural underemployment, informal employment and working poverty, especially rampant in India with its thriving informal and unorganized sectors. Working poverty emanates from irregularity of employment, lack of formal employment and weak social protection. In 2013, according to ILO statistics, 37.8 percent of employed youth in the developing world lived on less that $2 a day affecting as many as 169 million youths. The number touched 286 million if the young living on less than $4 a day were counted – defined as the “near poor”. Offering the millions of the young in low-income and low-middle-income countries a chance at a productive livelihood as part of the 2030 Development Agenda will remain an acutely uphill task. “In most low-income countries, at least three in four young workers fall within the category of irregular employment, engaged either in own-account work, contributing family work, casual paid employment or temporary (non-casual) labour. Nine in ten young workers remain in informal employment,” state the ILO findings. Employed youth in developing countries and least developed countries (LDC) were 1.5 times more likely to be found in the extreme poverty class than adults and 1.2 times more likely to be in the moderately poor class. Adults were more likely to be found in the groups of the developing middle class and above. Poor job quality is a major concern for emerging economies like India. Job quality, which is difficult to measure, is typically viewed across three axes, according to the OECD’s Job Quality Framework: earnings quality (a combination of average earnings and inequality); labour market security (capturing both the risk of unemployment and the risk of extreme low pay); and the quality of the working environment (measured as the incidence of job strain or very long working hours). Emerging economies perform far worse on all three dimensions than the OECD countries. In India, combating informality will contribute substantially to enhancing job quality. Informal employment represented 92.5 percent of total employment in 2012, 86 percent of non-farm employment and 95 percent in construction, with minimal change in numbers in the past decade, according to OECD. In September 2014, for the first time, according to OECD data, employment in agriculture in India had fallen despite strong population growth by 18 million since 2006. Its share of total employment had also fallen by 8 percentage points down to 47 percent in 2012. “More than 44 million jobs were created in services and construction and marginally in manufacturing. In particular, the construction sector absorbed a large number of male workers leaving low productivity farming jobs. The construction sector benefited from large public and private sector investments in infrastructure (airports, national highways), real estate, housing and development projects,” states OECD. The overall employment rate of the working age population fell by more than 4 percentage points to 53.5 percent, despite a job growth of 1.2 percent per year since 2006, due to a decline in labour force participation in rural areas. The typical approach to the issue of job creation in the country is to focus on the quantity of jobs created rather than its quality, which is necessarily seen as a distraction from the principle of getting the young employed quickly. However, high job quality can be coupled with high employment rates if we were to draw on the experiences of high-performing OECD countries, which have achieved the enviable combination through policy intervention. This is not a distraction from the immediate job at hand of providing work – as is believed in conventional policy thinking in India – but an imperative for avoiding the undesirable situation of having a large chunk of underutilized, frustrated young people. Even emerging economies such as Argentina, Brazil, China and South Africa are investing in innovative forms of social protection – which the ILO terms as “rights unfulfilled” – to improve income security for workers in vulnerable employment situations. India is seriously lagging behind in this respect. Far too little youth are able to match their aspirations of secure, productive and stable work with reality. As such, the supposed demographic dividends are quickly slipping away from places like India and Africa. Addressing social protection issues will be a crucial piece of the puzzle for countries serious about facilitating a structural transformation of their economies and boosting productivity. Also, in low-income and emerging economies, the transition paths of the most disadvantaged youth are often the smoothest; that is, they move directly from school – if they even go to school – into the irregular work that they are likely to continue doing for a lifetime. However, the ILO warns that such short and direct transition paths even for developed countries do not, often, offer a good foundation for broader transition to adulthood. In developed countries, however, data from recent school-to-work transition surveys (SWTS) shows that it takes a transition period of an average of 19 months for young people who aspire for a stable job. The waiting period, therefore, is more of a positive indicator in this case. The report also highlights a “persistent gender gap with the rates of young women’s participation in the labour market being significantly lower than those of young men in most regions. They continue to be also more exposed to unemployment than their male counterpart”. Only a select few economies in Europe, North America and East Asia face issues related to an ageing population – for the rest, the problem are issues related to having a young population and harnessing their potential. The world’s population remains overwhelmingly young. According to UNFPA data in 2014, the majority of today’s human population are below 30 years of age and today’s share of individuals between 10 and 29 is the largest the world has ever seen. With improved educational attainments, enhanced standards of living, and ensuing demographic transition, the numbers of very young and old shrink in proportion, leaving a burgeoning working-age population. Such a transition, can unleash vast potentials for improving the productivity of a country with lower dependency ratios and concomitant social and economic implications. The Asian “Tigers” of Hong Kong (China), Republic of Korea, Singapore and Taiwan (China) in the latter half of the 1990s have tapped into this dividend with a vengeance and have achieved remarkable economic advancements. 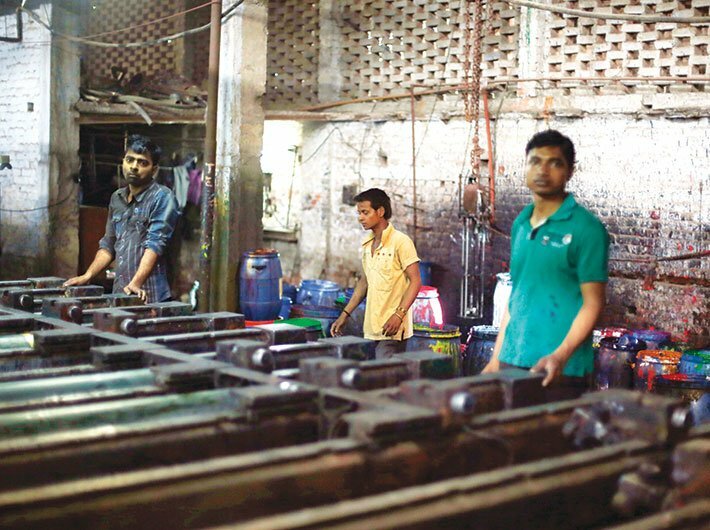 If specific programmes for supporting the unemployed and addressing the typical but rampant issue of working poverty is not part of larger policy interventions in the labour ministry, then the demographic structure could soon turn out to be a nightmare. The prospects of capitalizing on the so-called dividends are quickly slipping away. Meanwhile, next year, youth unemployment looks set to rise again.